The Swimming and Snorkeling Outfitter for San Solomon Springs. Open in 1989, the Toyahvale Desert Oasis provides swimming supplies, snorkeling gear rental and sales, along with unique souvenirs of Balmorhea State Park and San Solomon Springs. The Toyahvale Desert Oasis is located next to the State Park in Historic Toyahvale, Texas. 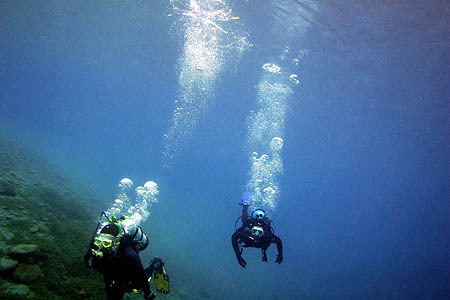 PADI Scuba Certification, scuba rentals, full line of diving supplies.